Our first of two Halloween covers is here as in the 1960's Dell Comics adapted the famous Universal Monster stories into comic book form. 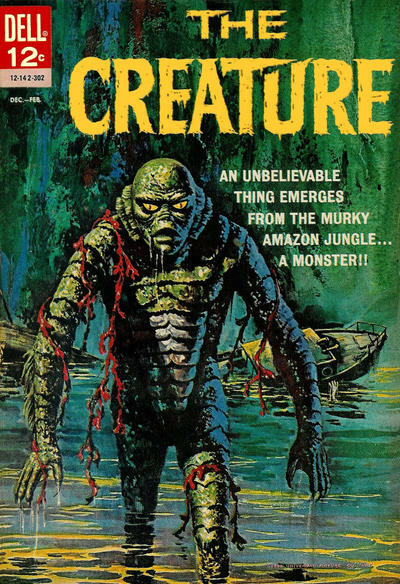 While Dracula and the others weren't direct adaptions of the films, The Creature was pretty much a straight forward adaption of the film, The Creature From The Black Lagoon. It features a very cool painted cover would be a cool comic for anyone to have in their collection!